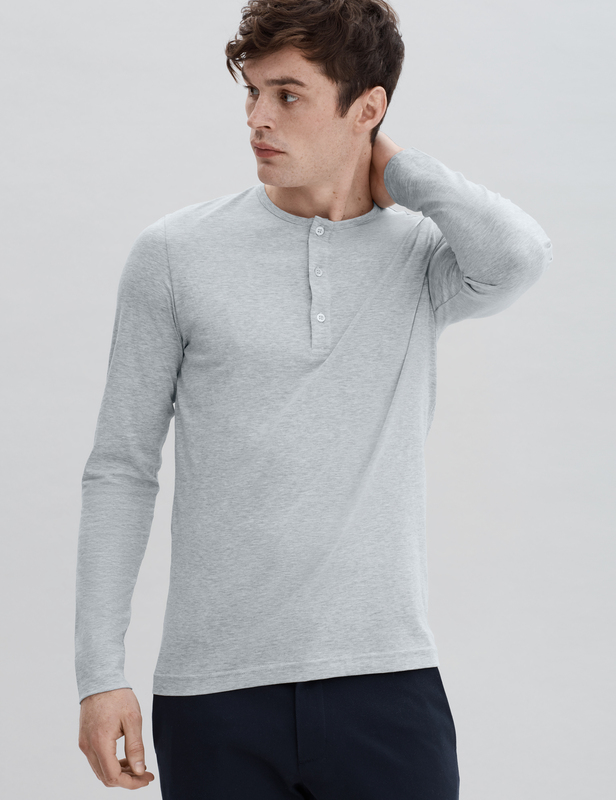 Our long sleeve three-button henley is unmistakably refined, yet subtle. It is destined to be an invaluable addition to your wardrobe given its versatility. 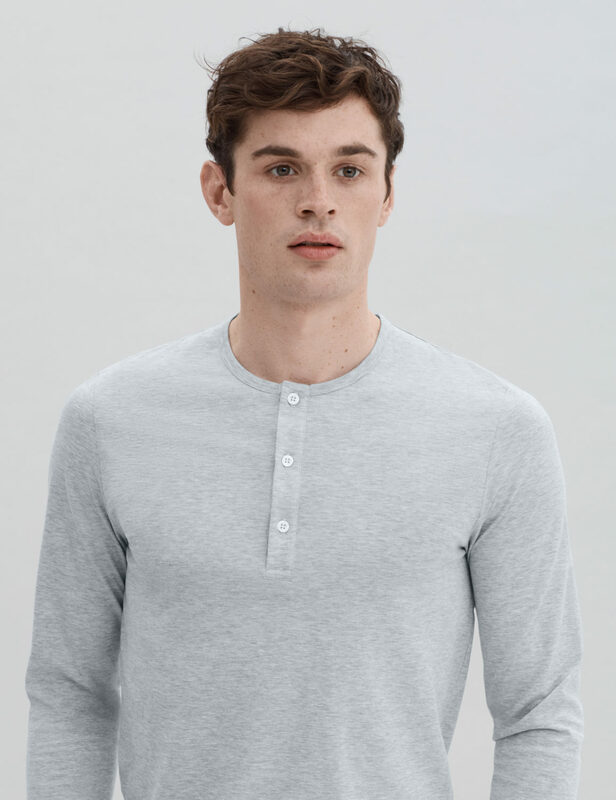 Extremely soft, lightweight and elegantly fitted, making it a perfect option for layering or wearing it on its own. 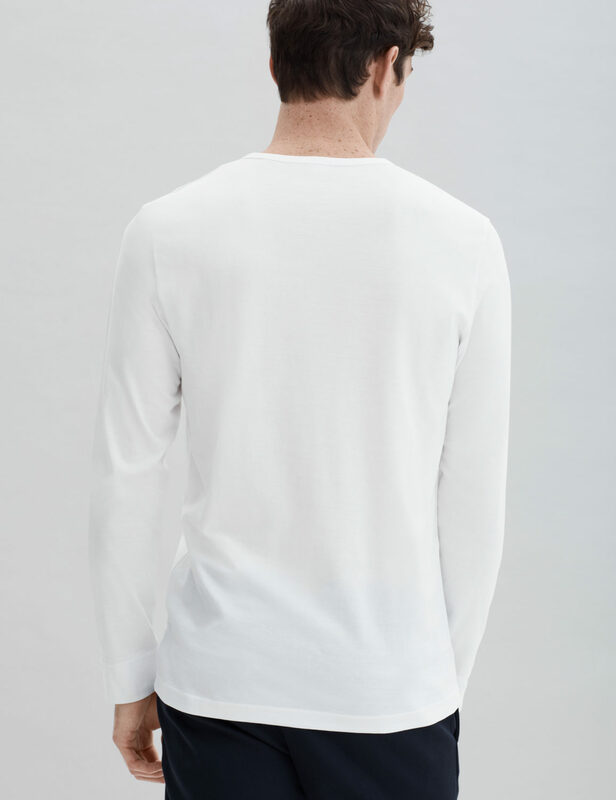 Crafted from our premium lightweight jersey fabric — superfine two-fold (80/2) yarn made from the finest extra long staple Peruvian Pima cotton. 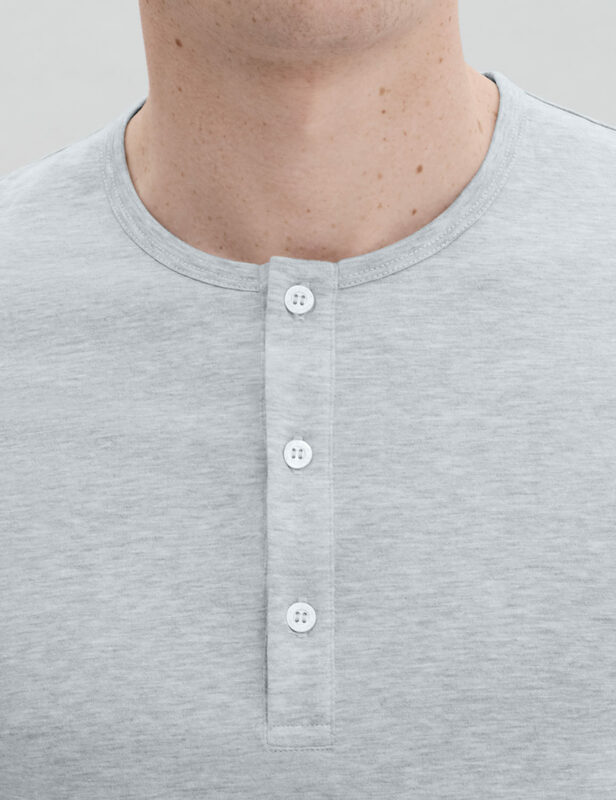 Detailed with Mother of Pearl håndværk buttons.